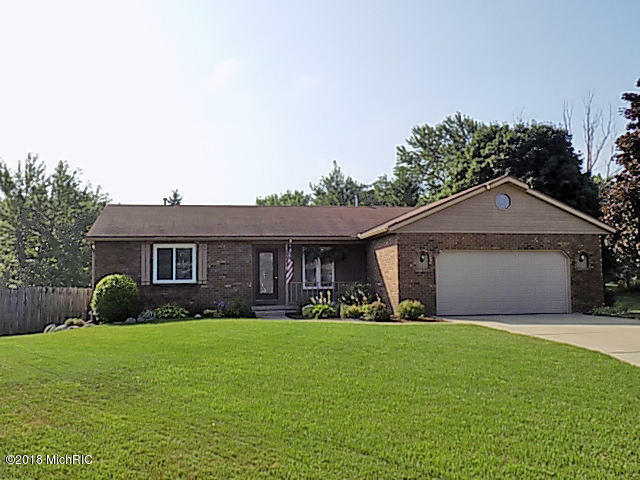 You will fall in love with this Jenison home completely updated & located on over a half acre lot. Home has open floor plan with kitchen, dining area, two bedrooms, two bathrooms and main floor laundry on the main level. The lower level has large family room, full bath, 3rd bedroom and storage. The home has new paint, newer floor coverings, newer deck, new quartz counter tops in kitchen and baths, large two stall garage with heater, fresh exterior paint, newer appliances, newer windows and muchmore. The garage is spacious and has a heater. Better than new and move-in ready.